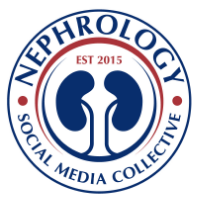 Kidney disease in patients with CLL may impact survival and occurs through diverse mechanisms such as leukemic infiltration, extrarenal obstruction, tumor lysis syndrome (TLS), glomerular diseases, electrolyte disorders and medication side effects. A recent review by us in CKJ summarizes some of these associations. Infiltration of CLL in the kidney is not uncommon. Autopsy studies had a very high incidence but recent biopsy studies show a lower indigence. Interestingly, the pattern or extent of infiltration did not correlate with the degree of AKI. Kidney function has been noted to improve with CLL treatment in many patients with infiltrative disease on biopsy. Paraprotein-mediated kidney disease has been well described in CLL, ranging from 2.5 to 60% of cases . In a study from France, 6/15 patients that underwent a kidney biopsy in a CLL cohort presented with a monoclonal dysproteinemia . Abnormal serum free light chains can be detected in ∼30–40% patients with CLL. Recent data suggest a significant correlation between the abnormal free light chain ratio and outcome of CLL patients . The monoclonal protein secreted by the B-cell clone can either be directly involved in the pathogenesis of the lesions, as in cases of fibrillary glomerulopathy, immunotactoid nephropathy, amyloid light chain (AL) amyloidosis or type I/II cyroglobulinemia or indirectly in cases of MPGN not related to cyroglobulinemia. MPGN is the most common GN finding in CLL, others being MCD, TMA,C3GN and Proliferative GN. 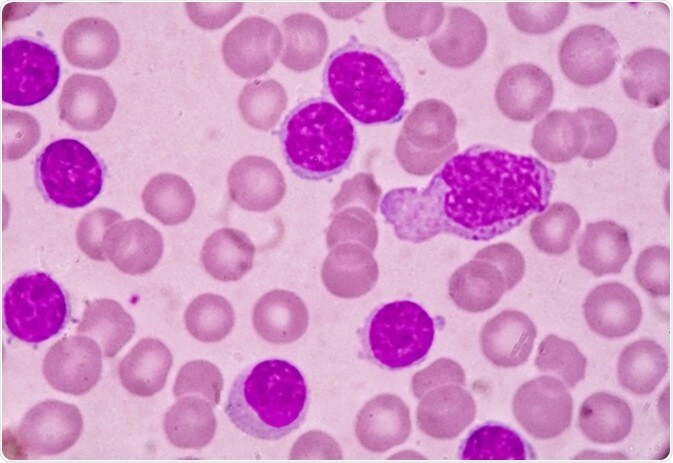 For patients with AL amyloidosis associated with CLL, the patients received agents that targeted B and plasma cells. The median survival for AL amyloidosis patients with CLL was 38.9 months. Other sporadic cases of AL amyloidosis have been reported with CLL and treatment is challenging, as it is not easy to decipher if the CLL and plasma cell dyscrasias are truly related or two separate entities. This is a tough one! CLL is frequently not treated or treated late. If there is end organ damage and we are able to connect the kidney disease to CLL, perhaps treatment might be important and critical for renal survival. The term ‘CLL with renal significance’ should be considered for cases that present with this dilemma. Tumor lysis syndrome and pseudohyperkalemia are the most common electrolyte disorders encountered with CLL. The pseudohyperkalemia is unique as it requires a high degree of suspicion and often hard to diagnose as plasma and serum K can be elevated in the high WBC burdened CLL patient. Arterial venous gas might be the only possible way to diagnose the problem.